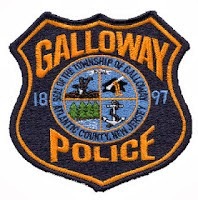 Galloway Township Police responded to 785 calls for service during June 1, 2014 through June 7, 2014. Additional statistics include: 3 Burglaries, 15 Motor Vehicle Accidents, 103 Tickets issued, 9 Driving While Intoxicated, 39 Arrests, 10 Domestic Violence, 15 Fire Calls, 86 EMS Calls and 0 Juvenile calls. Gregory J Brunkel, 22, of Cherry Hill was arrested by Sgt Joseph Picardi on June 1 for DWI. Jvaughn R Rivera, 20, of Hamilton Twp was arrested by Ofc Jacqueline Crocker on June 2 for 3 Counts of Possession of CDS. Tiffany M Bennett, 22, of Galloway was arrested by Sgt Mark D’Esposito on June 3 for DWI, Possession of CDS, and Resisting Arrest. William A Miles, 53, of Galloway was arrested by Ofc Steven Garrison on June 3 for DWI. William J Jones, 73, of Galloway was arrested by Ofc Jacqueline Crocker on June 3 for DWI. James H Ennis III, 34, of Manahawkin was arrested by Ofc Raymond Casanova on June 4 for Burglary and Theft. Gregory Timberlake, 47, Atlantic City was arrested by Ofc Kerry Baerman on June 4 for Hindering Apprehension. Kenneth L Fisher, 34, of Spotsylvania, VA was arrested by Ofc Scott Winneberger on June 4 as a Fugitive out of MD. Raymond Peaschek, 41, of Galloway was arrested by Ofc Scott Winneberger on June 4 for Possession of CDS. Charles C DeSorte IV, 25, of Blue Anchor was arrested by Ofc Dominic V Fabrizio on June 5 for DWI. Katelyn C Morrison, 25, of Galloway was arrested by Sgt Joseph Picardi on June 5 for Possession of CDS, Possession of Hypodermic Needles, Possession of Drug Paraphernalia, and Child Neglect. Timothy M Morrison Jr, 28, of Pleasantville was arrested by Ofc Scott Winneberger on June 5 for Child Neglect. Jimmy Pickett, 38, of Atlantic City was arrested by Det John Kelly on June 6 for Burglary, Theft and Criminal Mischief. Nadirah I Maamoon, 22, of Hamilton Twp was arrested by Ofc Christian Magazzu on June 6 for DWI. Alexis M Ingham, 19, of Galloway was arrested by Det Bryan Casey on June 6 for Theft, and Receiving Stolen Property. Robert P Richards, 29, of Galloway was arrested by Det Bryan Casey on June 6 for Theft. Kevin J Rausch, 55, of Absecon was arrested by Sgt Mark D’Esposito on June 6 for DWI. Christina Garcia, 25, of Egg Harbor City was arrested by Ofc Scott Winneberger on June 6 for Driving while suspended for prior DWI. Thomas M McGivney, 19, of Galloway was arrested by Ofc Scott Winneberger on June 7 for DWI and Possession of CDS. Carmen M Ocasio, 24, of Atlantic City was arrested by Ofc Paul Smith on June 7 for DWI. Angel C Garcia, 20, of Atlantic City was arrested by Ofc Dan Weigle on June 7 for Possession of CDS. Jeffrey E Brooks Jr, 33, of Egg Harbor Twp was arrested by Ofc John Mooney on June 7 for Hindering Apprehension.